Well that was weird @paddycosgrave invited me to his office for an interview and then asked me to leave before he had answered any questions. Web Summit founder Mr Cosgrave revealed on Monday that he was involved in running the Irish Tax Agency page, which had anonymously targeted ads at European users of Facebook. In a statement, a spokeswoman for Facebook said “we do not allow pages that are misleading or deceptive on Facebook which is why we have removed the Irish Tax Agency page for violating our policies against impersonation”. The ads contained the tagline “reduce your taxes on global revenue to 1 per cent”. Users are told that “companies have saved billions in tax by relocating to Ireland from high tax EU nations”. Posted in Misc and tagged Pasddy Cosgrave, Philip Boucher-Hayes at 1:40 pm on April 16, 2019 by Nat King Coleslaw. Posted in Misc and tagged Philip Boucher-Hayes at 2:14 pm on August 31, 2017 by Broadsheet. On tonight’s episode of What Are You Eating? 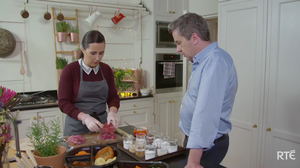 on RTÉ One at 8.30pm, chef Hilary O’Hagan-Brennan reveals the uncomfortable truth about the meat in many ready meals. Many people turn to a ready meal for something quick and convenient to eat after a busy day at work – on average twice a week – and the roast dinner is a favourite. But there is a process – not listed on the ingredients – that goes into creating that roast dinner that may surprise you. Transglutaminase is an enzyme used in food manufacturing to bond – essentially glue – pieces of meat together to create a more valuable “joint” of meat. Posted in Misc and tagged Philip Boucher-Hayes, staying in tonight?, What Are You Eating at 11:25 am on March 29, 2017 by Broadsheet. The ‘they’ in this case is the Garda HQ, and what that member of the force was referring to was either individual Gardaí or An Garda Siochana corporately claiming that Sgt McCabe was actually the person at fault in each of the cases that he blew the malpractice whistle on. When of course the judge found out that he wasn’t blamed at all. You’re not going to find much reference to this in the completed report. Much of the process, the business of the commission revolved around Maurice McCabe having to prove that he wasn’t guilty of the very malpractices that he had highlighted in the first place by bringing them to the attention of the Confidential Recipient [Oliver Connolly] and to [Fianna Fáil leader] Micheál Martin. In one case, to give example, he was accused by gardai of having given an instruction that was central to one of the cases of malpractice but, after scrutinising his diary from many, many years earlier, McCabe was actually able to offer the watertight alibi that he wasn’t on duty that particular day that he was accused of having done something because he was actually present at the birth of one of his children. …Commissioner Nóirín O’Sullivan and many of the individual senior officers – be they retired or serving – were all represented by the Chief State Solicitor’s Office and acted for, at the commission, by Colm Smyth, senior counsel. So the legal strategy was, in most cases, centralised. The line of attack on McCabe was organised. RTÉ’s Philip Boucher Hayes speaking on Drivetime last night. Posted in Misc and tagged Noirin O'Sullivan, O'Higgins report, Philip Boucher-Hayes, Sgt Maurice McCabe at 10:54 am on May 19, 2016 by Broadsheet. You’ll recall how High Court Judge Kevin O’Higgins was appointed in 2015 to chair a Commission of Investigation into complaints of Garda malpractice in the Cavan-Monaghan area made by Sgt Maurice McCabe. The Commission of Investigation was launched on the advice of Sean Guerin SC who initially looked into Sgt McCabe’s complaints. The O’Higgins report has not been published but it was handed to the Minister for Justice Frances Fitzgerald on April 25. Since then, there has been a drip feed of articles about the contents of the report. It’s a bit of a Late Late Show report – there’s something for everyone in it. It’s the kind of document that doesn’t make a clear determination one way or another so much as it criticises and it exonerates everybody in equal measure. If you were of the view that Maurice McCabe blaguarded his colleagues and exaggerated cases in order to pursue his own agenda, you’d find some substantiation for that in what Justice O’Higgins has to say. McCabe was “prone to exaggeration at times”. 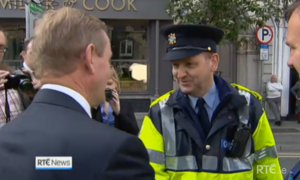 Some of his complaints against his fellow gardaí were “over stated”. Some were described in the report as “unfounded”. And, as evidence of McCabe’s ingenuity, his detractors will point to the allegations which were “withdrawn”. 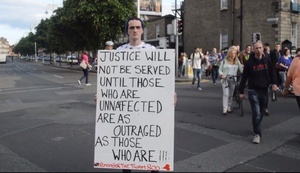 A picture emerges of McCabe on this reading, as somebody who cried wolf, who dragged the reputations of his colleagues and the entire force through the mud needlessly but that’s a selective reading of what Justice O’Higgins has to say. He also says of the whistleblower sergeant that he is a person “who acted out of genuine legitimate concern”, that he “was never less than truthful in his evidence”. The judge said that such a belief was “unproven” so McCabe wasn’t being persecuted for coming forward on this reading. Yes, except the report also says that there are five instances where there were attempts by the force to “blame Mr McCabe for malpractice or poor policing”. And, in each of these cases, the judge decided that “the sergeant was being wrongly blamed”. So, simultaneously, Maurice McCabe wasn’t being persecuted for blowing the whistle but was being wrongly blamed by fellow gardaí for doing things that he didn’t do. Another headline Maurice McCabe’s detractors point to is his allegation of corruption made against Former Garda Commissioner Martin Callinan. Mr Callinan is “entitled to have his reputation vindicated” and that allegations made against him by Maurice McCabe “were unfounded and deeply hurtful” says the judge. Proof again that McCabe was pointing an unjustified finger of blame. Frustrated that he was being ignored by Garda management, Maurice McCabe had found a device that would ensure his complaints which, the judge affirms, would get a hearing. Again the judge offers something for all sides to say they had been unfairly maligned and simultaneously vindicated. 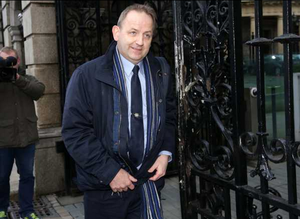 Anyone reading the accounts of the report that Maurice McCabe withdrew his allegations could reasonably infer that he knew he was on shaky ground in some of the things that he was saying. On the contrary though it emerges in the transcripts of the commission that Sgt McCabe withdrew one complaint against an officer whom he felt should have been more critical of the shortcomings of a junior officer. 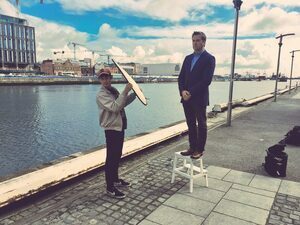 When he was presented with the testimony of the senior criticising his junior, McCabe withdrew the complaint saying that this “was the first time I’ve seen this”. Justice O’Higgins had to plot his way through a great deal of, he said, she said. But what was at the root of all of this was McCabe’s allegations of Garda incompetence or malpractice. Here, he finds repeatedly that the Gardai didn’t do their jobs properly. Of the investigation into the assault at the Lakeside Manor Hotel, the judge says “the investigation of this incident was characterised by delay and error. Sgt McCabe correctly identified the deficiencies in the investigation and the steps necessary to rectify them”. And of the most tragic of all of the cases, highlighted by Maurice McCabe, the murder of Sylvia Roche Kelly, by Jerry McGrath, the judge concludes that McGrath shouldn’t have been out on bail and wouldn’t have been were it not for a failure on the part of gardaí in Cavan. Any report this long is going to lend itself to being read from in a way that supports one narrative over another. Even more so in the case of this report which offers something for everyone to support their case. But so too does it support many of the allegations of incompetence, poor practice, malpractice and failure to serve the public that were at the heart of what Maurice McCabe first alleged. Posted in Misc and tagged Maurice McCabe, O'Higgins Commission of Investigation, Philip Boucher-Hayes at 10:38 am on May 10, 2016 by Broadsheet. 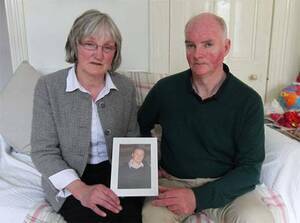 Lucia O’Farrell’s 23-year-old son, Shane, was killed in a hit-and-run in Carrickmacross in Co. Monaghan by Zigimantus Gridziuska, from Lithuania, on August 2, 2011. Gridziuska was acquitted of dangerous driving causing death. He pleaded guilty to failing to stop, report or remain at the scene of the crash and he received an eight-month suspended sentence in on February 28, 2013, on condition that he leave the country within 21 days. Judge Pat McCartan, at the Circuit Criminal Court in Dublin, gave Gridziuska the choice of serving the with months or leaving the country and he chose the latter. During the sentencing of Gridzisuka, Ms O’Farrell claims Judge McCartan asked if there was anything coming up in the pipeline for Gridziuska and that the State solicitor failed to notify the judge that – over the five months before Gridziuska’s trial – a file had been prepared in relation to insurance fraud charges against Gridziuska. Ms O’Farrell repeatedly requested for this file to be compiled and completed so that it could be included in the proceedings of the case of dangerous driving causing death. On March 6, 2013 – just days after he was ordered to leave the State within 21 days – Gridziuska appeared in Carrickmacross District Court for insurance fraud and he was jailed for five months by Judge Sean MacBride in relation to three policies of insurance fraud, one of which covered the day on which Shane was killed. Judge MacBride also banned him from driving for ten years. 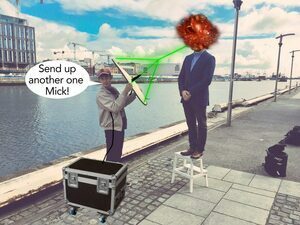 ‘Thank you for your reply dealing with my conversation yesterday, Tue 5th February 2013. I asked if those charges of fraud relating to the insurance held by the accused could be included in the trial commencing on 11th of February 2013. Your letter states that you are waiting on the file from the Garda and therefore the decision to prosecute can not be made yet. ‘The gardai failed to formally request and check the accused’s insurance within the six months [of Shane’s death] and now I question who’s benefit the delay is for. I spoke with [redacted] yesterday, Tuesday, 5th [February] pm and he informed me the delay was ‘Dublin’. The DPP are informing me it’s the Garda. Which is it? And why? On September 7, 2012, we brought formally to your attention requesting to have the accused’s insurance checked, for the date of August 2, 2011 when my son was murdered by a Lithuanian who was on bail at the time. We also requested the insurance details of this evil man, this was over a year after Shane was cruelly and inhumanely killed, and five months before the trial. ‘As you are aware the Gardai failed to formally request to have this insurance checked. When this was brought to your attention (by our family, one year later) it was statue barred, so therefore the accused could not be charged or convicted for not having valid insurance. The garda had failed in their duty, to Shane and to our family. 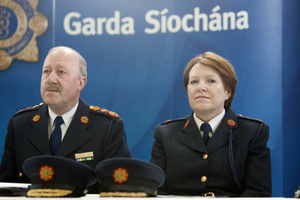 We also formally asked the gardai and raised several issues on October 26, 2012 regarding the accused’s insurance. Travellers Insurance stated to me that ‘we are waiting for the gardai to formally request to have this insurance checked and this has not been done and we can’t tell the gardai how to do their job’. ‘On December 13, 2012, I wrote a four-page letter [sent by registered post] to you requesting each and every insurance policy held by the accused and each and every related insurance policy held by the accused (including current policy) to be checked since he came into the country. 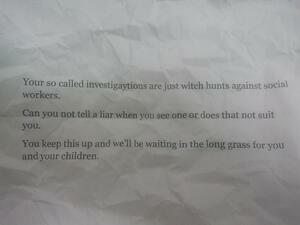 This letter was CCed to GSOC. We have been informed that the fraud relating to insurance policies was being checked. We were informed that this is an indictable offence, under the Criminal Justice (Theft and Fraud Offences) Act 2001. We were told by you that this indictable offence would be dealt with in a circuit court in front of a judge and jury. We were also informed that the “penalty for this is five years and that the facts will speak for themselves”. Why then did you agree to have this heard in a district court? (Where you know that the maximum he would get would be six months). Justice Minister Frances Fitzgerald has ordered a panel of barristers to review Shane’s case and 220 others where alleged garda inadaquecy, competence or corruption are involved. One of the Senior Counsel overseeing the process is Conor Devally, who defended Gridziuska. “Two weeks ago, I attended the Macgill Summer School and I listened to the debate on openness, transparency and accountability. And they’re quick to use these words, they flow off their lips – a new era and openness and transparency. And I raised a question, I raised Shane’s question about his death and his unlawful killing, and I wanted a public inquiry. I shouldn’t have to drive to Donegal, to the Glenties to get, to raise a question. I have been trying for days to ring the department but there’s nobody willing to speak. They’re not at their desk or they’re at a meeting. Meanwhile, the following is a short timeline of some of the Gridziuska’s criminal history which shows how – had his bail been revoked at numerous points – he may not have been driving the car on the day Shane died. May 9, 2011: Gridziuska gets a four-month suspended sentence at Ardee District Court in Co. Louth for five counts of theft. The charges are in relation to him stealing five times, over five consecutive days, from Lidl. His sentence is suspended for two years. At this point, Gridziuska is already supposed to be adhering to a condition of good behaviour in relation to a case that was adjourned for a year, in Monaghan Circuit Court in January 2011. July 6, 2011: The Garda Drugs Squad pull over Gridziuska and find on the dashboard what they believe to be the charred remains of tinfoil and heroin that somebody had been smoking. After taking the remains, Gridziuska is waved on. The car has no NCT at the time. July 14, 2011: Gridziuska is arrested in Newry, Co Down, for three counts of theft. He pleads guilty to each count and receives a five-month sentence for each count, suspended for two years. The PSNI contact the gardaí to confirm Gridziuska’s address. At this point Gridziuska is already on bail for theft charges in Co. Cavan and isn’t supposed to leave the jurisdiction. He is also supposed to be signing on at a garda station daily. July 27, 2011: The charred remains are sent to a forensic lab. It’s later confirmed that the remains contained heroin. August 2, 2011: The Garda Drugs Squad pull over the car that Gridziuska is travelling in, along with Paulius Paplauskas/Petrosas and Edgars Zelenousy, on suspicion that they had drugs in their possession. Zelenousy is driving the car when it’s pulled over. The O’Farrell family understand the gardaí asked the men to get out of the car, searched them and then got Zelenousy to switch with Gridziuska, thus resulting in Gridziuska being behind the wheel. Zelenousy has no insurance. The car is then waved on. Later that evening, Shane O’Farrell is killed in a hit-and-run, in Carrickmacross, Co. Monaghan, by Gridziuska. August 3, 2011: Gridziuska is arrested and the car he was driving is found concealed in bushes. August 4, 2011: Gridzuiska is brought to Dundalk Court for a special sitting. Gridziuska’s suspended sentences are not activated and the gardai do not object to him getting bail. August 12, 2011: Gridziuska is found in possession of heroin. September 15, 2011: After being arrested at Craigavon, Co. Armagh, Gridziuska is sentenced to two weeks in jail at Belfast Magistrates Court, after the pleads guilty to two counts of theft. At this point Gridziuska is supposed to be signing on at Carrickmacross Garda Station in Co. Monaghan three times a week but he isn’t missed by gardai. GSOC are currently carrying out a public interest inquiry into the case of Shane O’Farrell. Posted in Misc and tagged Lucia O'Farrell, Philip Boucher-Hayes, Shane O'Farrell at 10:49 am on August 15, 2014 by Broadsheet. Posted in Misc and tagged Philip Boucher-Hayes, Tuam Babies at 5:32 pm on June 12, 2014 by Broadsheet. I was going to bin this morning’s hate mail (as usual) but as this threatens my children I’ll circulate it. Important to say to the author of this that the effect of will be precisely the opposite of what you intended. Posted in Misc and tagged Hate Mail, Philip Boucher-Hayes at 12:43 pm on October 30, 2013 by Admin.